Jon, I see now what western you reviewed...I had reviewed the original version of 3:10 to Yuma in my regular ongoing westerns marathon and didn't want to do it again. I saw the newer version in a theater when it first came out but have not bought the DVD of it. I did review 100 Rifles (as you know) and I have some other westerns that start with a number...3 Godfathers and 7 Men From Now (which I also have already reviewed) and that leaves me with 5 Card Stud which co-starred Dean Martin and William Holden. I haven't seen that but reviews I've read of it have not been kind. I won't do another review today...too busy...maybe tomorrow...but I have things to do tomorrow, too. Not the best quality, since it's fullscreen like the original I own, but you can get the Canadian released on Amazon.ca for not too much. I remember you reviewing it now. But which do you prefer? I prefer the original version. I like the whole look of the film and the pacing and everything. My main problem with the remake is what happens to the Christian Bale character at the film's conclusion...his character had been through so much, a happier ending would have been nice. And, of course, the film is more violent and bloody than the original. Exactly what I thought. It made more sense when I heard the directors comments about religion, but I thought Clint Eastwood tackled a similar sort of cycle in Gran Torino much better. The original is underrated. Plot:Connor Mead is the kind of guy who dumps three girlfriends. At the same time. By teleconferance. So when he attends his brother's wedding he has a single goal: score with the only bridesmaid he somehow missed. But the ghost of his departed Uncle Wayne - who taught him to love 'em and leave 'em - has another goal in mind: restore Connor's lost faith in true love, a tough assignment requiring the services of many, many Ghosts of Girlfriends Past. Matthew McConaughey, Jennifer Garner and Michael Douglas and director Mark Waters (Mean Girls, Just Like Heaven) uncork a romantic romp as bubbly as wedding-toast champagne. It's the perfect comedy for anyone who believes in laughs and love. Or needs to. Disappointing romcom that is low on comedy, a weak storyline is not bolstered by the attractive cast. The alternative take on Scrooge does not sit comfortably, and the pro-marriage message shoved down your throat is out of touch and unrealistic. Full of needy women desperate to drag a boorish male into bed, or in Garners case up an aisle, the only charm coming from McConaughey in a totally lifeless and limp movie. The shallowness, barren of humour, and with such a sickly and predictable ending, make this an overhyped film best avoided. Assistant District Attorney Adam Bonner loves his wife Amanda, but doesn't care much for his opposing counsel in a sensational attempted-murder trial - an opponent who happens to be Amanda. An absolutely delightful piece of fluff featuring two of the best actors of all time, essentially having a laugh with each other. Of course they were Hollywood's most enduring couple in real-life and probably perfect for each other (despite having to keep it secret). Their banter is amongst the best you'll see in any romantic comedy, especially including the current batch. It's the subtleties of their performances that make this endlessly watchable. To even describe it feels like I'm taking away some of the magic. The story is typically light with the perfect plot idea for the genre, that pits them against each other in a courtroom with plenty of dialogue that positively zings. Listen out for Tracy's hilarious tongue-tied delivery in several scenes! Hepburn is defending the impossibly cute Judy Holliday, who is another stand out in a great cast, for shooting her wayward husband (that scene opens the film and it's very funny with Holliday reading a manual for the gun while trying to fire it!). It boils down to a battle of the sexes plot and while it's a bit dated and predictable, it's quite clever how the screenplay compromises a difficult conclusion (they are married lawyers, so how can one accept the other's victory in a high-profile case?). Still, it can't help but feel a bit contrived. Well, it;s hardly worth mentioning though. Who gives a damn about the plot when it's this pair on-screen? Anyone who enjoys romantic comedies should snap this up straight away. Simon Pegg (Hot Fuzz, Shaun of the Dead) stars as Sidney Young, a gate-crashing British journalist who loves exposing the shallowness of the celebrity world, yet desperately wants to join it. His dreams may come true when he accepts an offer from renowned editor Clayton Harding (Jeff Bridges) to write for ultra-chic Sharps magazine in New York City. Under the glaring eye of his distrustful supervisor (Danny Huston), Sidney finally gets to rub elbows with A-list celebrities... but always manages to rub them the wrong way. In this hilarious romantic comedy based on Toby Young's best-selling memoir, Sidney's talent for alienating people seems destines to torpedo his career. His fellow writer Alison Olsen (Kirsten Dunst) is powerless to save Sidney from further embarrassment when he sets his lustful sights on beautiful starlet Sophie Maes (Megan Fox). But when Sophie's all-powerful publicist (Gillian Anderson) makes him a very tempting offer, Sidney is finally poised to take the Big Apple by storm... or suffer the biggest humiliation of his life. Even though it has a surprisingly big name cast, this movie does not manage to be above average. Although it has some fun scenes in it. 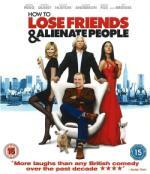 This movie is somewhat entertaining thanks to Simon Pegg. And Kirsten Dunst was also okay in this one. I liked her in this movie better than in her other recent movies. You also can see actors playing Roy and Jen in "IT Crowd" in bit roles. Brendan Frye (Joseph Gordon-Levitt, 'Mysterious Skin') is a loner at his high school, someone who knows all the angles but has chosen to stay on the outside. When the girl he loves, Emily (Emilie de Ravin, 'Lost'), turns up dead, he is determined to find out “who” and “why”. 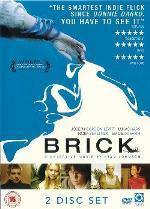 Brick is a fascinating and original film from first-time director Rian Johnson and it is a great debut. I haven't got much to add to Goodguy's review who hit it right on the head. It's an absolutely authentic Film Noir, straight out of the smoky 40s, except there's no smoking because it's set in High School! It's tough to describe the film accurately. This isn't some ironic gimmick, it's played dead straight, with dialogue, characters and even mannerisms echoing perfectly the original movies. It really shouldn't work! But it is a resounding success thanks to the dedication shown by the young cast, who help pull off the suitably labyrinthine script. Johnson holds true to an atmosphere that feels just like The Long Goodbye. Matthias already mentioned that reference, but I can't think of another so perfectly matched. He's no slouch either, because while he could have got away with basic direction to just frame the actors, there are some really lovely touches especially in editing that give it some extra spark and subtle humour. Joseph Gordon-Levitt plays the "detective", as hard-boiled and world weary as any. He has a natural intensity I found similar to Heath Ledger and all credit to him that he shoulders almost the full running time. As with any classic Noir, the world revolves around him, much to his disgust. His heart broken by a girl now dead and for whatever reason, he needs to know why, digging into the criminal underworld of... his school. All the other important elements crop up, the Femme Fatale (Nora Zehetner), the thug (Noah Fleiss) and the kingpin (Lukas Haas), plus watch out for the superb scene with the Assistant Vice Principal (Richard Rountree, who else? ), who in the real-Noir-world would be the police detective trying to help and double-cross our hero at the same time. Not for want of effort, but occasionally, the ambition gets the better of them and it briefly feels like kids doing a play. I was reminded of Wes Anderson's Rushmore, but that's being picky, because this is very original and anyone who loves film will get a kick out of it. And I stress, again, it's no gimmick. You'll be drawn into their strange mirror-world without any effort! Plot:Featuring one of the most remarkable casts ever assembled, Bobby is "an unforgettable movie experience...a powerful reminder of what America could be" (Pete Hammond, Maxim). The all-star ensemble includes Oscar® winners Anthony Hopkins and Helen Hunt, Oscar® nominees Laurence Fishburne, William H. Macy and Sharon Stone, along with Heather Graham, Lindsay Lohan, Demi Moore, Christian Slater and Elijah Wood. Written and directed by Emilio Estevez. Bobby revisits the night presidential-hopeful Robert F. Kennedy was assassinated at the Ambassador Hotel in 1968. As the lives of those who were present dramatically intersect, Bobby shows how the gunshots that rang out that night forever changed the course of American history. Yes, this movie has an amazing cast, it literally drips with big names, as Estevez/Sheen use their influence to bag the stars. However the class stops with the actors, as the storyline is dull, meaningless and bitty. The potential for some meaningful drama injected into an important part of US history is lost, as the 'director' chooses to concentrate on a multitude of other small surrounding stories that are so disjointed that you soon lose interest in the whole production. The soundtrack was wonderful, perfect accompaniment to a better film. The flashbacks to Kennedy and his speeches were inspirational and thought-provoking, and highlighted what a waste this movie is of a much better story that could have been told. It actually felt like a soap opera, and probably should have been run on TV accordingly. 16-year-old high school student Todd Bowden (Brad Renfro - Sleepers, The Client) has uncovered a deadly secret. Far from suspicion, Nazi war criminal Kurt Dussander (Ian McKellon - Gods and Monsters) has been quietly living in Todd's hometown. Fascinated by the atrocities Dussander committed during the war, Todd begins to blackmail him. In exchange for the teenager's silence, Dussander must reveal his evil past. The two begin a relationship that spirals out of control, producing terrifying results. This movie does not follow the book but captures the essentials. Towards the end it even deviates far from its source. The books spans multiple years and is much more violent. In the film everything happens in the span of one year. In the book, Dussander and Todd kill people independent from each other over the years. In the movie, Dussander gets his heart attack on his first attempt to kill a man. Todd has to finish the man off. In the book Todd is found out by the police. In the movie he essentially comes out on top. Overall I enjoyed this film adaption, though in the end I prefer the book. Plot:Based on the best-selling novel, The Other Boleyn Girl is a captivating tale of intrigue, romance and betrayal starring Natalie Portman, Scarlett Johansson, and Eric Bana. Two sisters, Anne (Portman) and Mary (Johansson), are driven by their ambitious family to seduce the King of England (Bana) in order to advance their position in court. What starts as an opportunity for the girls to increase the family fortune becomes a deadly rivalry to capture the heart of a king and stay alive. Fascinating and admirable, an informative and entertaining period piece that shines with great performances (once you can excuse the poor accents), historical drama and educational backdrop. Portman and Johansson in particular as the Boleyn sisters were impressive, painting a different slant on their involvement in the whole affair and coming across as not such unwitting pawns to their power hungry father and cunning uncle. Bana was a mile away from the real Henry of course who was fat and ugly, but for storyline purposes he fit the bill. The reasons for the split from the catholic church, the lust of Henry, the demise of Catherine, and the birth of Elizabeth, are memorable gems from the movie. I've not read the book so cannot compare, but as a standalone film, and from one who typically is not a great fan of period drama, I really enjoyed it and would heartily recommend it. Plot:THE DAMNED UNITED tells the confrontational and darkly humorous story of Brian Clough (Michael Sheen) and his doomed 44 day tenure as manager of the reigning champions of English football; Leeds United. Taking the job without trusty lieutenant Peter Taylor (Timothy Spall) by his side, and with a changing room full of what in his mind were players loyal to his bitter rival Don Revie (Colm Meaney), would lead to an unheralded examination of Clough's belligerence and brilliance over 44 days. This is that story. The story of The Damned United. Not a great deal of interest to anyone who didn't know or lived through the reign of Brian Clough, but with young Michael Sheen once again proving his versatility and impersonation skills (Blair/Frost), a lot of Uk viewers will find this film an enjoyable look back to 70's football and one of it's leading and most controversial lights. Not the most impactive storyline, or dramatic, but the characterisations of the lead roles, and there wonderful portrayals, helps this film cut the mustard. The feel of early 70's is convincing, the state of the game at the time and how clubs were run accurate. There was a lot of controversy on this movies release in the UK, Cloughs family refused to be involved in it, and dismissed it as being inaccurate. 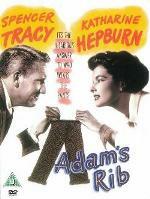 But as a film it entertains without any glitz or glamour. The greatest manager England never had. 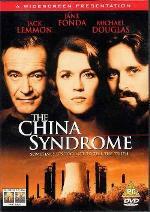 Jack Lemmon, Jane Fonda and Michael Douglas star in The China Syndrome, a powerful cautionary thriller about the dangers of nuclear energy and the power of television news. At some point in your regular run-of-the-mill disaster movie, you have put your hands up and admit that it's pretty daft. They take a tiny fact and blow it up too far, but you don't care because it's too much fun. Roland Emmerich reaches this point in under 20 minutes usually! The China Syndrome is powerful right up to the final moments because it stays in the realm of what could happen, not what does. In that sense it isn't even a disaster movie, more the "cautionary thriller" the cover blurb calls it, yet you never get that safety blanket of being bale to dismiss it out-of-hand. It builds up to a tense and even disturbing finale. There are no set-pieces, just a well-told drama with a sobering premise and two-thirds in it's clear it will be more whistle-blower The Insider style than anything else. Visually it isn't ambitious, but Director James Bridges does a great job to keep all the plates spinning, not least in the final emotional roller-coaster sequence. The story is split between a nuclear power plant dealing with a potential accident and the news team that happened to have been there when the control room briefly went nuts. In retrospect, it's kind of bleak, yet it's also very entertaining while you gnaw on your fingers! It has a cheeky sense of irony in more than one moment. The cast are as dependable as their script and sell the story perfectly. Jack Lemmon is his usual brilliant self as the conflicted shift supervisor who knows something is wrong with the power plant, Jane Fonda is the reporter looking for hard news and Michael Douglas is her hot-headed camera-man. He shows his worth and never feels like a third-wheel between the other two, Oscar nominated, performances. Between the plant and the news room, there is Fonda's story of trying to prove her worth at the TV station. It's intriguing stuff and dovetails nicely with the other angles. While it reminded me of Network and it is a serious drama, it almost seems unfair to pick out the similarities with Anchorman; the similarities between Kimberley Wells and Veronica Corningstone are impossible to miss as she struggles to be taken seriously against the male anchors (the bellydancing moment is pure Ron Burgundy material! ), and only gets the zoo and birthday party assignments! You couldn't make it up. To it's credit, the film loses nothing for such a comparison. What you'll remember is a well-acted, slow-burning thriller, with a message still relevant and potent today, and a powerful ending. It's no spoiler to say that the credits are silent. Can't think I've seen that before.